Nothing beats that feeling when you become one with your favorite pinball machine and your actions are almost automatic. 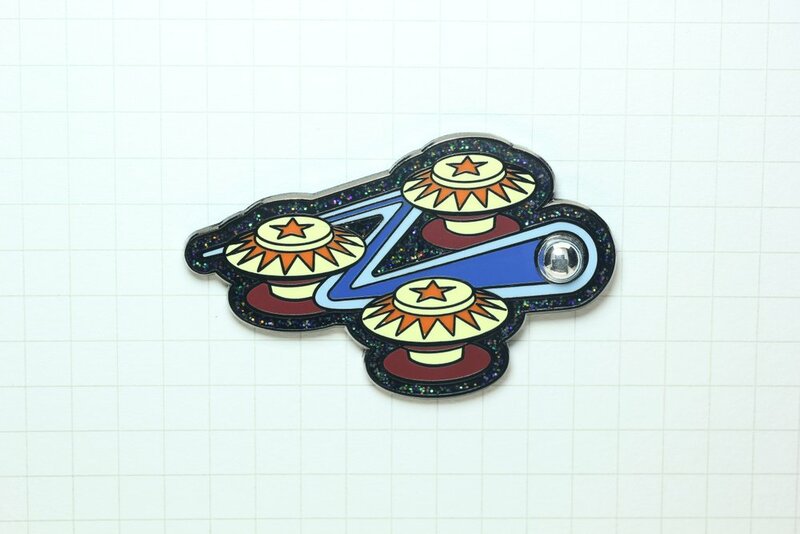 My Pinball Blast pin captures the excitement of playing pinball in a darkened arcade. Features a tiny dimensional chrome ball on top of the hard enamel. Choose from dark or light background. Measures 1 7/8" with black nickel finish, double posts, hard enamel and glitter in the background. Comes to you carded and bagged.